To complete the aesthetic of your home, it is a great idea to bring the exteriors at par with the interiors. The outdoor decoration is important if you are frequently hosting parties in patios, backyard or front yard. One of the aspects of the outdoor aesthetic is the flooring. You can immensely enhance the appearance of your outdoor areas with concrete tile floors. Concrete tile flooring comes with better versatility and design options, which give you more freedom to decorate your outdoors. Concrete floors can be designed with more creativity as you have more options for cutouts, imprinted patterns and more. You will be no more limited to standard square tiles. You can definitely choose to have a concrete floor by repeating the squares, but you can add more character with choosing the other available options. 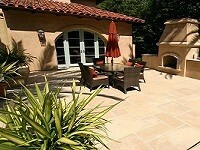 Concrete outdoor tile flooring can be customized to match the color blend you require. The color palette ranges from soft to bright shades. You have much freedom in choosing the colors that match more conveniently with the theme you have chosen for outdoor décor. The maintenance of the concrete floors depends on where they are installed. Nevertheless, it is not hard to maintain a concrete tile floor. In the outdoors or garage flooring, the concrete tile floor is more likely to be exposed to the elements like dust and grime. You can avail the many available options to regularly cleaning the tiles. The methods are quite easy to apply and regular application can maintain the quality and appearance of the concrete tile floor for much longer. To further ensure better maintenance, it is often recommended by experts to have resealing done when it is required. 1. 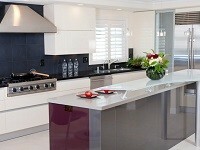 Exposure to dust can be abrasive to the tiles. It can damage the shine and polish of the tiles. For this purpose, use a more microfiber mop to remove the dust daily from the concrete tile floor. 2. If you are using wet mopping, Make sure that you use clean water and mop every time. You can also use an automatic scrubber. They come with a non-abrasive pad, which is also effective for cleaning large areas. 3. Avoid using only water on the concrete floor when doing wet mopping. The water leaves the dust particles on the floor, which will cause abrasion in the long run. Mix a natural cleaner to the water to disperse the dust particles. This way, they will be easily mopped away from the floor. 4. If you ever spill something on the floor, for example, spilt oil on garage flooring, make sure you don’t leave it there for long. Remove the spilt fluids as soon as possible so that they don’t get absorbed into the surface. Concrete floors are great for the environment as well. 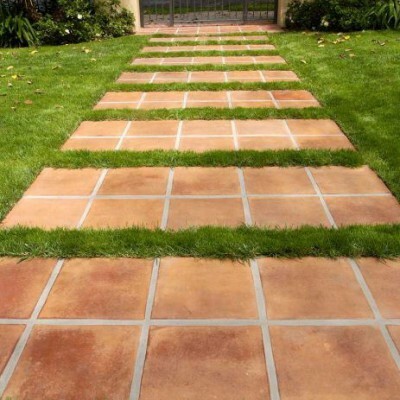 If you are enthusiastic about green living, then concrete tiles for your outdoors and garage flooring is a great option. They improve energy efficiency and air quality. Moreover, it eliminates the need for additional coverage on the floor. For quality installation of concrete flooring at market competitive rates, consult Westside Tile and Stone. We provide the service in Southern California including Los Angeles. Floor tile usage in concrete is a great option for indoors and outdoors in these regions due to better aesthetic but better durability at the same time.